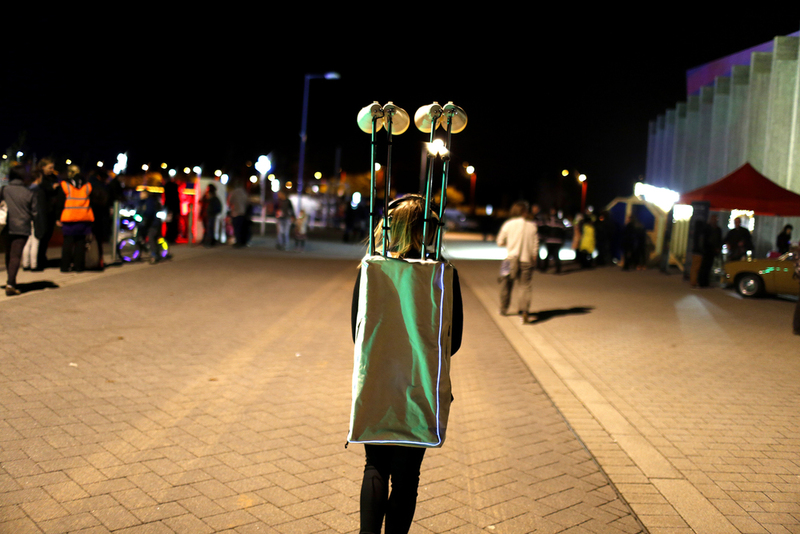 As part of Longbridge Light Festival 2014 artists Institute for Boundary Interactions exhibited 'Town Crier'. The art work could be seen and heard roaming around Longbridge Light Festival, gathering digital social archaeology from the area and broadcasting it through its speaker throughout the evening. The Institute for Boundary Interactions [IBI] is an interdisciplinary research collective that uses science, technology, art and design to explore the complex connections between people, places and things.